Around February this year, Sister Reina Ibarra felt like something was covering her left eye and it was painful. She began to observe that during choir practices, she could hardly see the lyrics of the songs. She went to see an eye specialist and she was diagnosed to have glaucoma. The pressure of her left eye was 60 (the pressure of a normal eye is only 21-22). She was almost blind and the pain that it brought was hard to bear. The doctor advised that she undergo immediate surgery – not that her left eye would be able to see, but just to remove the high pressure and relieve her of the pain. But Sis. Reina did not agree to surgery, but chose to put her complete trust in the Lord Jesus Christ. She was prayed over and laid hands on by the beloved Hon. Pastor Wilde E. Almeda. She cried in her prayer that she wouldn’t mind to be partially blind, but begged the Lord to remove the extreme pain the high pressure in her left eye was causing. She was urged by the Holy Spirit to offer prayers with fasting. Sis. Reina had some qualms about it for she is already 71 years old, but prompted and strengthened by the Holy Spirit, she released her faith and set out for the fasting house in Sauyo, Novaliches, Quezon City. On the 8th day of her fasting, as they were starting the morning praise and worship, her left eye was red and very painful. But Sis. Reina didn’t lose hope. She proceeded to sing praises to the Lord and worship Him with all her heart and might. Halfway in their praise and worship, she looked on the left side of the worship room and she almost couldn’t believe that she was seeing clearly! She was able to read clearly the Scriptures that were posted on the walls. The pain in her eye was completely gone and her vision became normal. She couldn’t help exclaiming, “Is this really true? My eye is healed!” And she jumped in joy as she rejoiced in the Lord to express her gratitude. Sis. Reina came to know and serve the Lord Jesus in 1988. At that time, she already had three major surgeries: her ovary was removed, her intestines were cut, and her bladder was also operated on. 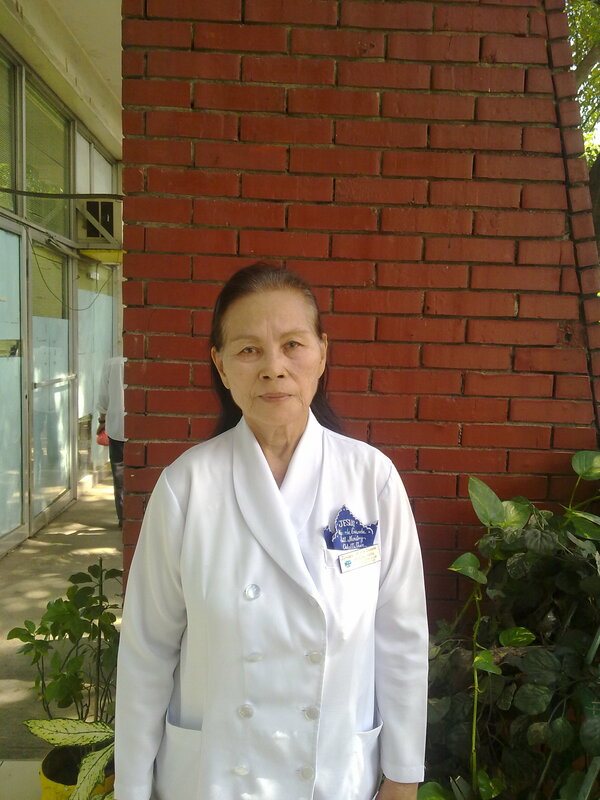 She was suffering from high blood pressure, hemorrhoid, and poor eyesight. But all these were totally healed by the Lord Jesus Christ when she received Him as her Lord and Savior and was baptized in water in His name. Since then, Sis. Reina served the Lord faithfully to this day. During the early years, she worked in crusades throughout the country. She sings in the Adults’ Choir, assists in Bible Studies and also in jail ministry.